Tensor Chess travels to the city of Sochi, the home of the 2014 Winter Olympics to participate in the rolling out and demonstration of its Android Application. During the 2014 World Chess Tournament in Sochi, tensor chess, a modified chess game, with worldwide patents pending and unprecedented support from Grandmasters and Chess organizations, demonstrated its new Android Application with its custom Artificial Intelligence chess Engine and Live game play features to an audience. The new invention of the modified chess game that has taken the Chess world by storm. As a game which incorporates, among other things, a novel chess pieces that, by virtue of its interactivity with all of the other traditional chess pieces, adds not only new dimensions and possibilities to the game, but does the same for all of the other chess pieces, making the game more dynamic and significantly more strategic than its traditionalpredecessor. Tensor Chess has, over the past four years, been introduced to and ultimately gained endorsements from top Grand Masters in the world. During the 2014 World Chess Championship, the main event being the most anticipated match between Magnus Carlsen and V. Annand, one of the most televised chess events during the past decade, Former World Chess Champion Alexander Khalifman presented the game to the global chess and gaming communities. The Tensor Chess animated presentation was played in two languages and led by Alexander Khlaifman, who outlined the game Rules, Endorsements, game movements and provided explanations of the website and server functionality, the game’s educational and intellectual benefits and finally gave a description of the social media and networking part of the project. The entire presentation was concluded with a live demo of the Android game which was cast on a large screen TV. Following the presentation the event was followed up at a local Conference Center where invitees were given the opportunity to play the android game, play a tabletop version of the game, and speak with and offer feedback to the Tensor Chess Team. The event attendees were presented Tensor Chess themed souvenirs and were served with refreshments. The event was not only televised for the leading sports channels in the Russian Federation, NTV+, but also received international media coverage as well coverage from the top bloggers in the chess world. During the event one of the most prominent chess figures of all time, Boris Spassky a previously uninterrupted Soviet world chess champions, stretching back to the 1948, who defended and lost his world title to Bobby Fischer in the 1972 World Chess Championships, not only endorsed the new game, but promoted it on national television during the event. 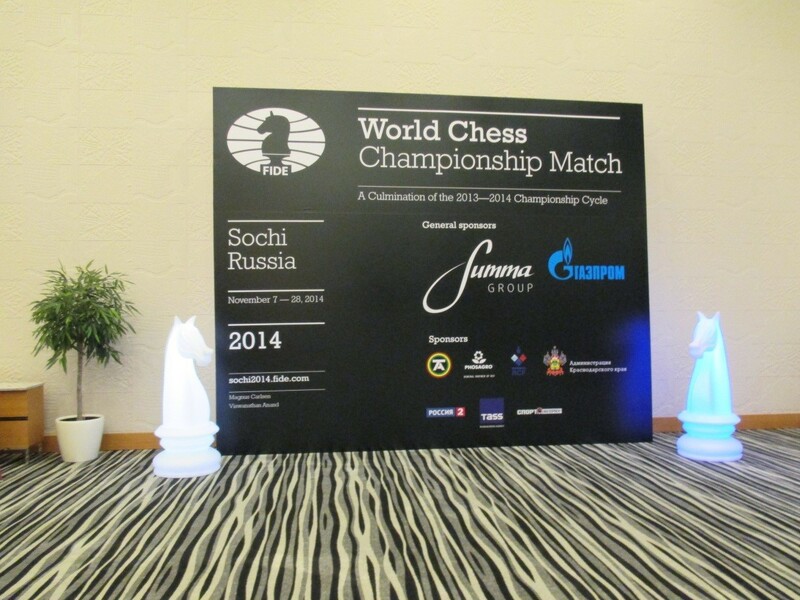 The Tensor Chess Rollout event occurred in the heart of the Sochi Olympic Village and the presentation and reception were held at a conference hall in a Downtown Sochi Venue.